June | 2012 | Kate's in Ukraine! Crimea, Ukraine… if you’re not Ukrainian (or Russian) the mention of this place probably rings no bells for you. But in Eastern Europe, Crimea is pretty famous. 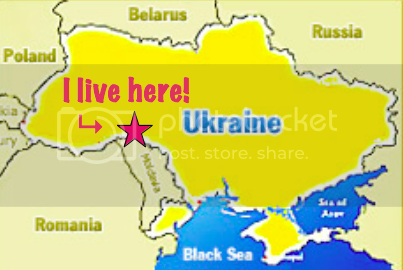 And its THE place to go for a summer vacation in Ukraine! Crimea is technically an autonomous republic of Ukraine; back during the USSR it was “given” as a gift to the Soviet Republic of Ukraine, and after the breakup of the USSR Crimea remained part of it. However, Crimea wasn’t very happy about that (hence the “autonomous republic” part of its name). The majority of Crimeans are ethnically Russian, and Russian is the dominant language. Ukrainian is not appreciated there, as Crimeans don’t like to be reminded that technically the peninsula belongs to the country of Ukraine (and not Russia). In fact, I was even told that when we were traveling in Crimea it would be better to speak in English if we couldn’t make our point in Russian–the Ukrainian language is looked down upon that much, and (supposedly) English was more wide-spoken, given Crimea’s booming tourism. I originally began planning this trip in the dead of winter; it was a form of escapism for Michelle, Erin, and I as we suffered through a miserable winter of record-setting lows. We had plenty of down time in which to plan the trip due to the endless school closures, which occurred every time the temperature was below -25 degrees celsius (-13 fahrenheit) because it was too cold for the kiddos to walk to school. I think I went two weeks straight without teaching a day of school; hence, with the Internet at my fingertips and images of hot days on the beach in my dreams, I planned an epic week in Ukraine with some of my favorite people. The entire group met in Kyiv the morning of our departure, except we were one person short–due to flight delays and cancellations, Michelle was delayed and ended up coming down to Crimea a day later. So the five of us (Erin, Tori, Kristin, Mark and I) spent the first day without Michelle exploring Sevastopol. Sevastopol is well-known to history buffs as the site of the Siege of Sevastopol, carried out by the British against the Russians. During the siege, the Russians had to sink their whole fleet to keep it from falling into enemy hands, and today the Monument to the Scuttled Ships stands in the harbor of Sevastopol as a tribute to this battle. Sevastopol is also known as the port of the Russian navy, both during the USSR and in the present; Russia rents the port for its Black Sea Fleet. It also made the list for one of the 7 Wonders of Ukraine, so we made seeing it a priority when we were in Sevastopol. Today its mostly ruins, but there are pillars of what used to be a temple that are impressive. Our last stop in Sevastopol was near Khersones, just a few minutes away. It was Saint Vladimir’s Cathedral, which was built after the Crimean War (in the 1850s) as a tribute to the heroes of the Siege of Sevastopol. This is Tori and I in Independence Square, which is the central square in Kyiv. The statue behind us is the slavic goddess Berehynia, Protector of Kyiv. Downtown Kyiv by twilight (damn, I hate that the book ruined the word!). And here is Tori and I at one of Kyiv’s most famous churches… St. Michael’s. Possibly my favorite night in Kyiv was when Tori and I had an evening to ourselves to see the Ukrainian Ballet. Tickets were the equivalent of 5 dollars (for both of us!) so we splurged on dinner… and went to Dim Sum, an incredible Chinese place near the Opera House where the ballet performs. 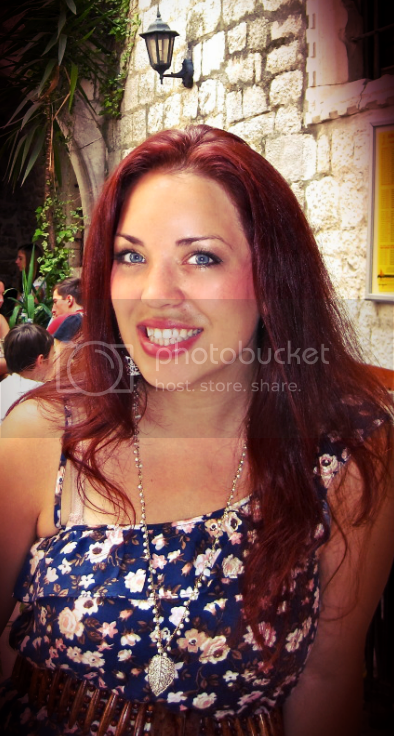 Tori looking beautiful at dinner! Steamed dumplings, could I have been happier? No! Tori and I at the Opera House in Kyiv. We saw The Marriage of Figaro, and while the dancing was incredible, I think the music was my favorite part (I’m a huge Mozart fan). Tori and I also had amazing seats, so we even managed to get some decent pictures! The next time you’re in Kyiv, I highly recommend seeing the ballet. For $5, you really can’t go wrong… plus, it’s an experience you shouldn’t miss! Figaro and Susanna, the main characters. The chorus from the Marriage of Figaro. Susanna and Figaro end up together… yay for happy endings. That night the five of us (Tori, me, Erin, Kristin, and Mark) went to the train station and boarded the train to Sevastopol. It was leaving Kyiv at 10pm and arriving the next day in Crimea at 4pm, so we packed plenty of food and got settled for a long train ride. This was Tori’s first train ride, so the whole thing was a novelty for her. The rest of us were old pros, but it was fun to watch her excitement. Saturday night we had big plans; there was a Eurocup match between Spain and France that we wanted to watch in the Fan Zone (the main street of Kyiv, Kreschatik, was turned into a pedestrian zone for the Eurocup, complete with beer tents and huge screens where the game was broadcast!). But before then, Mark and I had dinner plans with my friends Graciella and Artem in Independence Square. We went to this really cute Crimean restaurant and sat on the veranda, enjoying the atmosphere and spending a lovely evening hanging out. But just after dinner, a gypsy woman with crazy face paintings came up to our table, with a huge bag covering the lower part of her face like she was huffing something inside of it. I leaned away from her as she invaded my space, and my friend Artem told her off in Russian. Instead of moving on to the text table to beg (as we assumed she was doing), she took off running and left. I looked down at the table, where my cell phone and wallet had been sitting, and realized that’s why she took off running–she’d stolen them! They’d literally been sitting right in front of me, and I didn’t connect the dots until she was out of site. Needless to say, I freaked out. The wallet contained $300, a credit card, my Peace Corps-issued passport (which has my Ukrainian work visa inside), my accreditation card (that says I’m a legal resident of Ukraine) and a key to the room at the hostel. The loss of the passport and the accreditation card were the most upsetting, because those would be hard to replace. I was also devastated at the loss of my cell phone–I had no way to get in touch with anyone without it, and I had no one’s number written down! And my sister was flying into Kyiv the next day, and her only way to get in touch with me if anything happened was through my cell phone. I was so upset, but luckily for me, I have some amazing friends. Graciella flagged down a police man in Independence Square, and Artem (who is Ukrainian) explained the whole situation in Russian. Soon a Jeep full of cops pulled up, and they demanded we come with them to the police station to file a report. Again, I could not have remained calm and composed without Artem’s help… the cops didn’t speak any English, and conducted the whole affair in Russian. Artem served as translator (my Russian is terrible) and explained what happened to the cops, while I called the Peace Corps Safety Officer and told him what happened. Then I used Graciella’s phone to call America and ask my Mom to cancel my stupid credit card. Graciella even offered me the use of her spare cell phone (everyone in Ukraine has at least two cell phones, don’t ask me why) so I had a number I could give my sister just in case. We were at the police station more than 2 hours, and by the time we finished filing the report the Eurocup match was over–France had lost. We ended up just going back to the hostel, I was pretty bummed out. I already realized that if my passport was gone, I couldn’t leave the country with Tori for our upcoming Eurotrip… the stress was pretty intense. While the Eurocup tournament continued, my main task was planning the summer of a lifetime; my sister Tori was set to arrive in less than a week, and our first adventure was traveling to Crimea, Ukraine. This is the primary tourist destination of Ukraine, located on the Black Sea in the southern part of the country. Mark was coming with us, as well as a few of my favorite PCV friends‒Michelle, Erin, and Kristin. Michelle had taken care of buying our train tickets, but I was in charge of the hostels/apartments we’d be staying at, so I was busy planning our itinerary and finding places for us to stay. It was hilarious to listen to, but also hard to dodge their questions. I’m sure many of you have guessed (or were told by me!) that Mark was more than a friend, but during the week of his visit I started to realize that it wasn’t going to work out between us, for a lot of different reasons (none of which I’d care to go into on this public forum). I’d probably have realized it sooner had I not wanted it to work out so much… I had such a wonderful impression of him from our first month together that I wanted to continue thinking the best of him, so I just chalked up the first few warning signs as the struggles of a long-distance relationship. But being with him 24/7 in Sokyriany brought everything to light, and it turned out proximity was even more of a challenge than distance! The worst part was we still had two more weeks together, in Kyiv picking up Tori from the airport, and then a week in Crimea with all my friends. I didn’t know what to do about it, and looking back I know I could’ve handled it better. But I didn’t, and I didn’t say anything until the end of our trip. It made for a challenging two weeks, knowing there were problems but not addressing them… needless to say it was a rough couple weeks. Here is Yanna and Tanya. And here is Dasha, my smartest fifth grade student, and probably my favorite too if I’m being honest; she comes to see me every week for tutoring, and speaks wonderfully for her age. I’m so impressed with how fast she improves too; every week she understands more! My counterpart Natalia even played with us! Read on to hear about our reunion, and the disaster that preceded it. The biggest thing to ever happen in Ukraine during my two years here took place in June‒Eurocup 2012! This huge European soccer tournament was jointly hosted by Ukraine and Poland, and was a huge source of national pride for Ukrainians. Most Ukrainians are crazy about soccer, so the whole month of June the nation was overcome with Eurocup fever. Every game was broadcast to packed cafes and beer tents, and daily conversation revolved around the results of the matches. 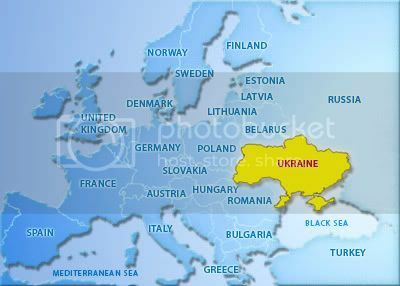 Ukrainians were also incredibly interested in the tourism generated by the Eurocup and the chance of profiting from it. Hotel rooms in Kyiv were shamelessly up-charged‒not even a bed in a hostel could be found for under 30 euros. And it wasn’t just Kyiv that prepared for the huge boost in tourism; the Eurocup matches were hosted in Kharkiv and L’viv as well (two major cities in Ukraine), and cities and towns everywhere hoped the tourists would come to visit. My tiny town of Sokyriany, which is close to nothing (except the border to Moldova) even attempted to teach the local policemen English in case tourists came and either needed help or ran into trouble with the law. Somehow the local police got my number and began calling daily and begging me to come teach them English. I was skeptical of the proposition, because a) two weeks isn’t enough to learn English; b) no tourists would be coming to Sokyriany, and c) the other Peace Corps Volunteer who used to live in Sokyriany had a huge thing for cops in our town, and had developed kind of a reputation. I didn’t want to “help” the cops learn English if they thought that I was going to behave in the same way as the last PCV…. Eurocup madness also affected the young population of Ukraine. I agreed to take on a new student for tutoring over the summer, who had recently come home from university. His name was Vadim, and he was studying for his masters in Engineering in Chernivtsi. His mother really wanted him to learn English so he can attempt to get a job abroad when he finishes his degree, and I agreed to give him lessons whenever I was in town. My first meeting with Vadim was a challenge, because while he was very smart and knew some English, he was also incredibly shy. But as our lessons continued, he improved, and the Eurocup matches became our example for every grammar principle we covered. For example, the day we reviewed the present continuous verb tense, I’d say, “Who is playing in the next Eurocup match?” And he’d have to answer “England is playing Ukraine.” I’d ask, “Who is going to win?” and he’d answer “In my opinion, Ukraine is going to win.” It was hilarious, and became a running joke between us. Any time I introduced a new grammar principle, he’d demand a soccer example for illustration. Ukraine’s defeat became the new theme for my tutoring lessons with Vadim, which was depressing but also hilarious. For learning the past perfect tense, I asked “What could Ukraine have done to win the game?” and Vadim answered, “Ukraine’s coach could have put Shevchenko [Ukraine’s best player] in the game sooner!” Oh Eurocup! I thought of throwing in the towel at the prospect of having to blog my whole summer, I was so overwhelmed by the idea. But this blog has been a faithful testament to my years in the Peace Corps, and I write not only for you my readers (although you’re about 90% of the reason why), but also so that I’ll have a complete journal of my trials and successes, my ups and my downs, my joys and my sorrows, and all of the crazy in-between memories that have made Peace Corps such an incredible part of my life. Besides methodology, I taught lessons on Education in America, Common Errors, Fiction Writing, Degrees of Comparison, Storytelling, and Close Reading. Teaching lessons for teachers is much more grueling than teaching students, because you have to be incredibly prepared and engaging the whole time. I enjoyed all of my lessons, and at the end of the week I felt really encouraged by how interested the teachers had been and how willing they were to work with the Peace Corps Volunteers. One of my favorite participants even invited me back to her village school so her pupils could have the opportunity of speaking with a native English speaker, and so we could have the opportunity to continue our friendship! And here is a picture of all of the Volunteers who took part in the English Language Refresher Camp: (from left to right ) Back row; Dan, Erin, Andy, and Sarah; front row: me, Lily, Kristin, Michelle, and Kate (Michelle’s colleague from the university who helped us run the camp). And last, but not least, we have a picture of all the participants from the ELRC with their certificates of completion. What a wonderful group of teachers!